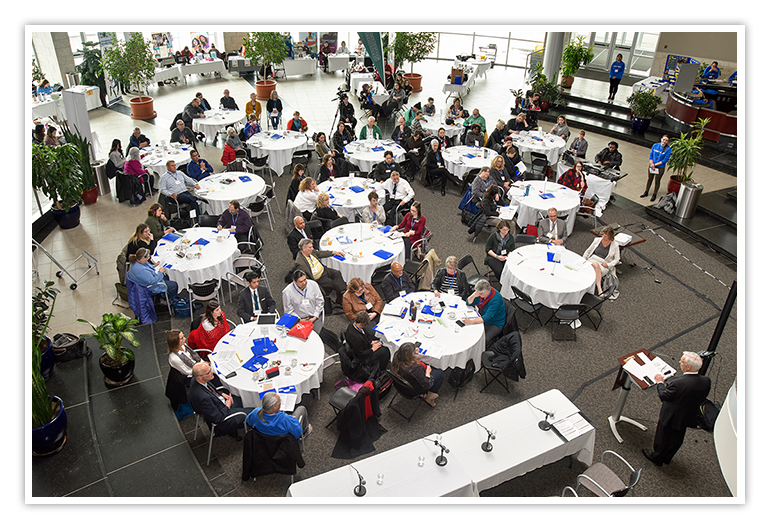 On March 16, 2018, over 125 people from the university and community participated in a forum that explored an important topic and question – Realizing our potential: How can universities contribute to community success? The forum featured a keynote speech by Dr. David Renz, Director of the Midwest Center for Nonprofit Leadership at the University of Missouri-Kansas City, panel and roundtable discussions around a series of questions to inform the development of a community of practice around university-community engagement. To view a recording of the forum (with agenda), please click here.